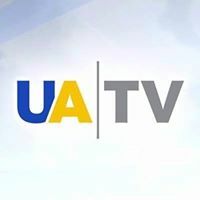 General TV Channel / UATV Ukrainian television channel of foreign broadcasting, is included in the State Enterprise "Multimedia platform of foreign broadcasting of Ukraine". Began broadcasting on October 1, 2015. Broadcasting is conducted in Ukrainian and Russian every 30 minutes alternately, with English subtitles. The channel was created in accordance with the Law of Ukraine "On the system of foreign broadcasting of Ukraine", adopted on December 8, 2015. The goal of the channel is "to provide access for the foreign audience to objective, relevant and complete information about the events in Ukraine and the formation and maintenance of Ukraine's positive image in the world." The main target audience of the channel is a Russian-speaking foreign audience (including the Ukrainian diaspora) and a Russian-speaking foreign audience (including the Russian diaspora). The channel broadcasts through satellites Amos-3 , Azerspace-1 , Galaxy 19, and also on the Internet on its own channel on YouTube.